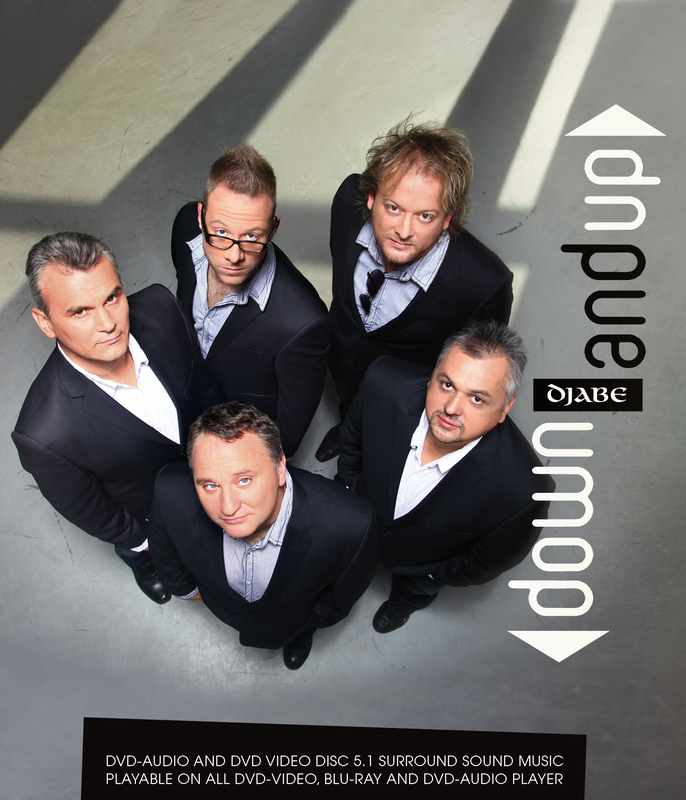 Djabe released its previous studio album in 2008, and safe to say the new album Down And Up has been well worth waiting for. The music is simply first class both in both standard and in execution. We’ve been used to this quality and ambition from the band since its inception, and so no surprise therefore, that up to now 42 countries have invited Djabe to perform. The surround release of the album offer a wide range possibilities for the audiophile lovers. The disc is DVD10 with two playable sides: one side with DVD Audio content, one side DVD Video content. With this solution all the DVD Video, DVD Audio and Blu-Ray player owners can playback the fantastic 5.1 sound. On the DVD Audio side (player with DVD audio logo required), the whole album can be found in MLP 5.1 and MLP 2.0. This is the best quality digital replication of the original 24Bit/96kHz original recordings. Audio side contains one extra audio track, Steve Hackett’s composition entitled Camino Royale. The DVD Video side contains the whole album and the Camino Royale in DTS 5.1 and PCM 2.0 stereo. Uniquely the listener can choose from two different stereo masters. In addition to the 24/96 digital, you can listen to the analogue master used for the High End LP pressing. This solution is a good option for the High End testers to check the digital vs analogue differences. The DVD Video contains visual extras. Live performance of the title track and the Dark Soup and the video clip of the Tears For Peace. The composition, scoring and studio work of Down And Up extol mainly the talent and exigency of Tamás Barabás. Naturally, some tunes referring to the world of some earlier Djabe recordings written by Attila Égerházi and Ferenc Kovács on the album. A special feature is that the last song of the album, Tears For Peace, was written by Joanna Hackett, wife of Steve Hackett. Here we must mention that the famous Genesis guitarist, who can almost be considered a Djabe member, is in five compositions on the album, moreover, he sings the track Tears For Peace. While listening to the album we take part in the usual fresh and colourful music journey of Djabe and the band once more shows its new faces through ten new tracks portraying the moods and expressions of past experiences – downs and ups. Tamás Barabás is a world renowned bass player. On Down And Up he actually plays a lot of instruments on the album, from which we can highlight his brilliant guitar performance. Few people are probably aware, that he started his career as a solo guitar player. Szilárd Banai has grown into one of the best drummers on the horizon in the past few years, which is also proved by his international acknowledgments. His unique rhythmical and musical approaches add an enjoyable sense of colour to the compositions. From the very beginning, Attila Égerházi’s guitar texture has been the basic characteristic of the Djabe sound. On this album, this essence is represented by Awakening City and Hills Of The Valley. Ferenc Kovács brings his special musical ability on the trumpet and violin. The text he wrote for song The Dark Soup is of outstanding in its depth, and he performs it in his characteristic singing style. Zoltán Kovács’s piano and keyboard playing have become an ever increasing important element of Djabe’s music wonderfully confirmed throughout this album.Guest artists enrich this album with special colours through being exceptional musicians and through the musical instruments themselves. Steve Hackett (UK) plays the guitar and sings, John Nugent (USA) plays the tenor saxophone, Malik Mansurov (AZ) plays the ancient tar. From among the Hungarian musician friends Kálmán Balogh plays the cimbalom, Péter Bede plays the shepherd flute, Judit Herczeg is doing backing vocals and Gábor Veress plays the flute. in Budapest, 30th November, 2012 by Balázs Náray.